Over the last 25 years we have worked very hard to build a residential sales and lettings company which is as effective as possible in achieving results for you, the customer, without compromising first class service. We believe our countywide office coverage, multi-channel marketing, established reputation and experienced staff make for a highly successful combination. 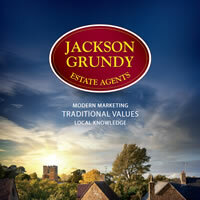 Please download our brochure (below) for more information about how we can help you. Our branch and sales managers have, on average, over 16 years estate agency experience, so our clients can feel confident about the quality of advice they receive from us. After all, we are talking about the sale or purchase of what, for most people, is their largest asset. Property Management providing peace of mind from a local name you can trust. High levels of marketing and landlord services available on both a ‘Let only’ and ‘Fully managed’ basis. The benefits of a lettings service supported by a countywide network of offices and staff. We are also members of NAEA, ARLA and The Property Ombudsman.